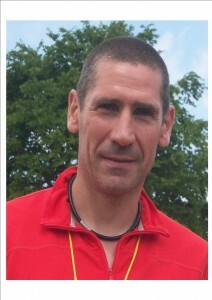 I have been involved in fitness for 25+ years, from playing squash at county level to involvement in a whole range of X country running and road races, X training challenges and, most recently, cycling an average of 2000 miles per year! I fully appreciate we all have different goals in life and not everyone has the time or the inclination to train everyday nor do you need too! My previous professional role also made me realise the need to understand stress and how to manage its debilitating affects. Since changing my profession, and gaining a Diploma in Personal Training and Sports Massage Therapy, I now also appreciate its link to nutrition and fitness. Hopefully this qualification, along with my inclusion on the Register of Exercise Professionals (REPs), will give you some confidence in the level of my ability. Allied to my enthusiasm for fitness, I now have a new passion in sports massage therapy as its benefits are self evident through the gains experienced by clients, after treatment, in their range of movement and functionality; it doesn’t get much better than that! So here I am at your service and Id be delighted to help you in achieving your goals. A brief introduction to my own Exercise to Music (ETM) & Zumba. I have been working alongside Trevor for the whole of ATPs existence, and I have finally decided that it was time to add to the ATP portfolio by bringing my own brand of ETM & Zumba to ATP Health and Fitness in Wiltshire. As a qualified ETM & Zumba Instructor and a massive dance fan, I am very keen to introduce exercise and fitness through dance, but in order for this to work it has to be choreographed correctly with the right levels of intensity throughout the session. The correct warm up and cool down is equally as important as the core dance session itself. So why not check out my ZUMBA page on the website and come along to try one of my Zumba dance classes at one of the many venues. I promise they will be fun, will improve your fitness, will be fizzical and, oh yes, FUN! Zumba Classes currently held in Chippenham, Stanton St Quintin, Bradford on Avon and surrounding areas.